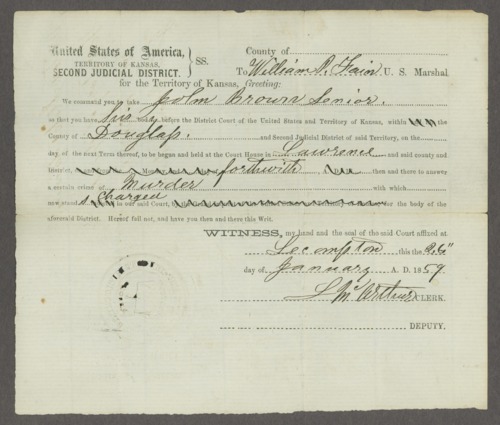 Material relating to Kansas Territory, U.S. District Court, 3rd District versus James Montgomery for robbery and murder. A writ of arrest for John Brown, Sr. on the charge of murdering John Little is also included. William P. Fain, U. S. Marshal, as well as a number of other men, are referenced in the documents.